So far 2017 has belonged to Cadenheads with their monthly deliverance of whiskies orchestrated by the guiding hand of the Overlord, the Emperor, the Keeper of the Casks and a million other names enthusiasts toss at his feet, Mark Watt. Who has had the privilege of putting together these assaults on our disposable cash allowance. The celebration of their 175th Anniversary has been a fitting tribute, but within 2017 there is another important date concerning the establishment of the Edinburgh Cadenhead store. It’s 30 years since the shop opened and in Edinburgh it has been offering visitors the opportunity to purchase whiskies from across Scotland, with those traditional Cadenhead values on quality and affordability. Oh, to have walked through those doors all those years ago and gaze upon those bottles. 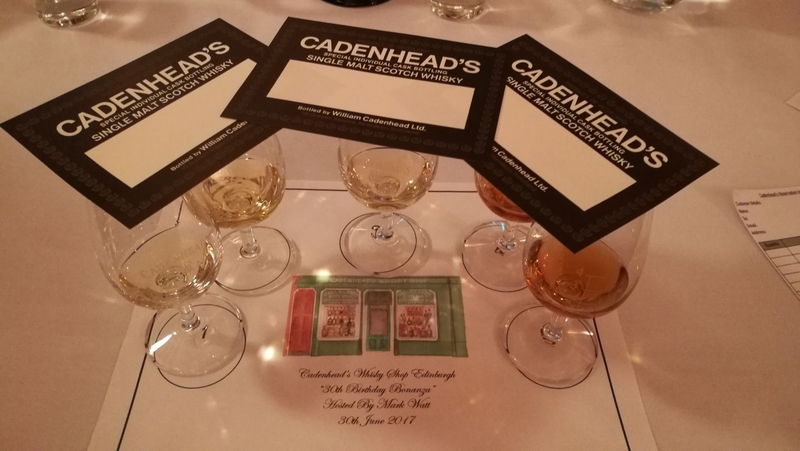 Throughout 2017, the Young Cadenhead Team (YCT) at the store have been putting on a series of tastings, celebrating the joys of Cadenhead bottlings around various themes. I’ve managed to attend most, but had to bypass the last event that broke out of the small confines of the shop (it can only hold around 12) and a new plush location that can hold 4 times that number. Then there was a pause for the Campbeltown festival, before this special 30thtasting. June is midway point of the year and the 30th Anniversary, with a special store bottling to mark the occasion. 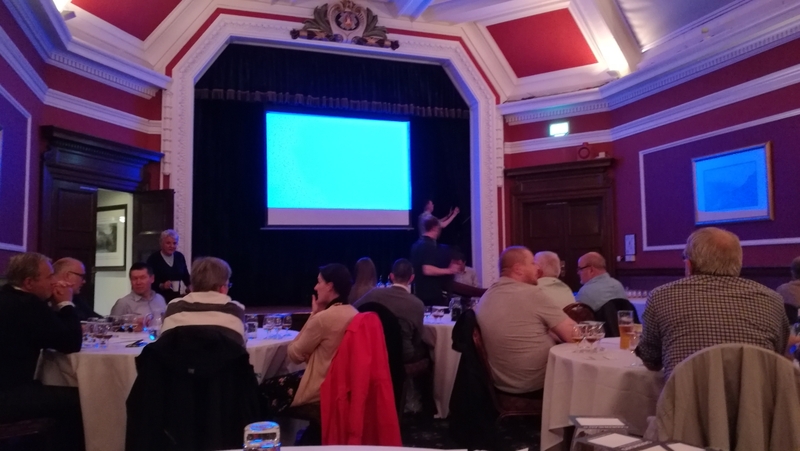 It seemed fitting that a special tasting should be held at the Royal Scots Club in the plush New Town area of Edinburgh. The momentous event was marked by the extraction of the Dark Lord himself, Mark Watt, from his Campbeltown den of destruction, to lead the tasting. The whiskies themselves were shrouded in mystery, having been handpicked by the team in Campbeltown. On paper it seemed a fitting and remarkable tasting shrouded in mystery. Needless to say the event was a sell-out, almost instantaneously, the asking price of £50 for such an experience seemed a bargain. Included in the asking price were a commemorative Glencairn glass and a discount off the Edinburgh bottling from Springbank, which had sold out in around 20 minutes. By purchasing a ticket for the event you were guaranteed a bottle of this 14-year-old Springbank, exclusively matured in a Guadeloupe rum cask, delivered at 57.1% and an outturn of 186 bottles. Yes, I’ve tasted it, but will have to return for a firmer impression. Now all the above was written pre-event, but I’ve kept it intact for posterity. Sadly, Mark was unable to lead the tasting due to unforeseen events, but his lieutenant Cameron was dispatched from the Death Star, with whiskies for the long drive to Edinburgh. Leaving just after midday, he only just arrived at the tasting in the nick of time. 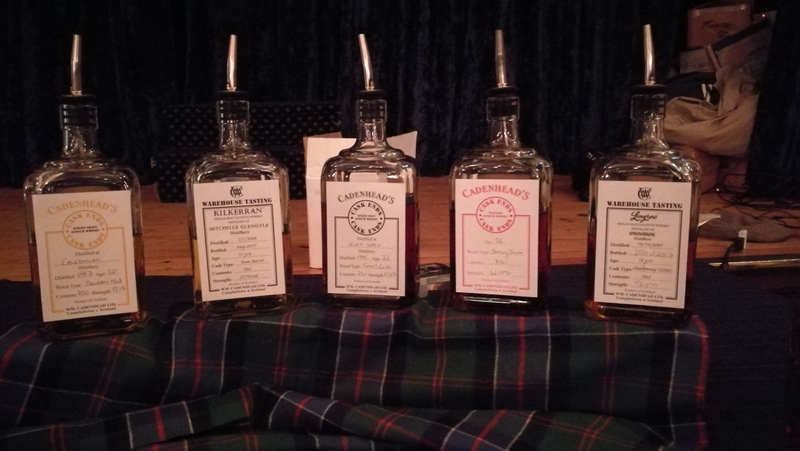 Thrust into the limelight, if you’ve taken a warehouse tour at Cadenheads whilst visiting Campbeltown, then chances are Cameron has led the way. I appreciated the last minute nature of it all, having had to step in for a work colleague only just a few days previously. Giving an unscripted talk about my employer and day-to-day events to a room full of new recruits was an interesting way to spend a morning. Fortunately, Cameron recognised many faces in the room, as being a constant menace with their regular visits to the company’s warehouses. Before us were 5 cask strength whiskies, adorned with a drawing of the shop itself. In retrospect it may seem odd to those unfamiliar that a shop, or a company for that matter, can spark such a devoted following. Those who were unsure soon realised the beauty of the Cadenhead appeal, as Cameron underlined the importance of quality and charging a fair price. Sales targets? No such thing, instead it’s releasing whiskies when they’re ready and at a realistic price. It was good to see so many familiar faces during the evening. At times it did feel like a family gathering, new acquaintances and introductions to be made. 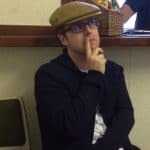 Regulars will know I tend to drift into the background however it was different to be pulled aside by enthusiasts who seem to enjoy the mix of humour, writing and information I put out on Whisky Rover. This for me is just a bit of fun along with exploring whiskies for myself, but it’s humbling to know that some out there enjoy the rollercoaster as well. They certainly picked a good tasting to attend as you’ll soon discover in a moment. The concept was that each whisky would be accompanied by the team in Campbeltown actually drawing some whisky from the same cask, residing in the warehouse. Normally these whiskies are solely available only for those visiting warehouse 9, however for this special occasion they headed north. The modern age had reached Campbeltown, or at least threatened to, as we in dialled live to the warehouse. It’s almost a comedy routine in itself, with Jenna kicking off the tasting with an 11-year-old Tomintoul straight for the cask. It set a great tone for the tasting and the ambition was that we would to the same prior to each whisky. Technical issues put paid to that, but I do have the one and only live attempt, so prepare yourself for the tasting. Apologies for the waiter at various points. From a bourbon hogshead with a strength of 58% volume. On the nose: the freshness of apples with a caressing vanilla, followed by grapefruit and a twist of lemon. More interest awaits with hints of toffee and Kiwi fruit then a touch of plasterboard before a gentle layer of cinnamon and meringues. In the mouth: very drinkable and although still spirit based, it is gentle with a sugary vibe. Green apples, a little cream soda and Custard Creams with the vanilla coming through. Not a distillery you see too much of independently, but a wise choice from Cameron to open up the tasting. It has a refreshing vitality, acting as a palate cleanser for the whiskies ahead. I actually enjoyed this, for the reasons mentioned but it also shows the distillery DNA without too much wood influence. An Edinburgh whisky seemed an ideal choice given our location, distilled in 1987 which was its last year of production. Bottled at 57.7% volume from a bourbon hogshead. On the nose: a creamy corn with a buttery aspect, throw in some bananas and toffee apples and hey presto! It’s a grain. There’s a UHT glue fleeting hint in here, a likeable quality in my book, a touch of thyme and olives. In the mouth: an infused creamy vanilla, it’s the nose again with buttery qualities and then a struck flint feature. A short finish it must be said, but with warmed winter spices while it lasts. Right from the first aromas, I knew this was a grain and so with the big reveal it was confirmed. For many attendees this was the dram of the night, closely challenged by the Caperdonich that was doing the rounds under the table. A gorgeous example of a grain, full of those classic characteristics and more besides. The first and possibly only independent bottling of Kilkerran. Distilled 5th May 2006, fully matured in a rum barrel before being bottled in May 2017. Bottled at 57.7% volume. On the nose: a very juicy arrival with wines gums, a little confectionary liquorice then sour apples and a lick of boot polish. Toffee takes us into familiar territory with a touch of salty brine, green apples, Kiwi fruit and tarragon. A funky nose and one that doesn’t scream out rum immediately. In the mouth: initial notes were sweet and lovely, so let’s elaborate a little. A light smoke brings a harmonious quality. Then it goes down under with earthiness and that rum sugary sweetness and smoked bacon. Seriously one you could drink all evening. Better without water and one to file under dangerously drinkable. What a Kilkerran, I think I’ve fallen in love. I described it as Brora-tastic to a friend and I’ll stand by that. Certainly one of my whiskies of 2017. Members of the Cadenhead Club will be intrigued by this one. Originally bottled from a sherry cask 2 years ago and distilled in 1995 for a club bottling I reviewed. The remnants were then put into a bourbon cask for 2 years; a reverse maturation, bottled at 51.4% volume. On the nose: a burnt maple syrup, plenty of nutty qualities with a little varnish before more walnuts and strawberries dipped in chocolate. There’s a hint of coffee beans in the palm of your hand, black pepper and pecans. In the mouth: dark Christmas fruits with an emphasis on a chewy texture, hazelnuts and a molten dark chocolate again. Brown sugar, but also apples and a vanilla undercurrent coaxing its way to the surface injecting a juiciness that’s unusual. Very interesting, a first for me. 20 odd years in a sherry cask before the Cadenhead team had a small bourbon cask to hand to put the remaining spirit into. I always wondered what happened to the whisky left over from the Cadenhead Club releases. In the early years the number of bottlings releases were very small and now we have the answer. Ok, it isn’t so mysterious with these details, apparently one of a handful of casks obtained from Cadenheads from Edrington. These were pre-blended. So it’s a sherry-influenced concoction with Invergordon forming the backbone, then Tamdhu, Glenrothes, Macallan and Highland Park. Actually turned on 30th June and is a natural 46% strength. 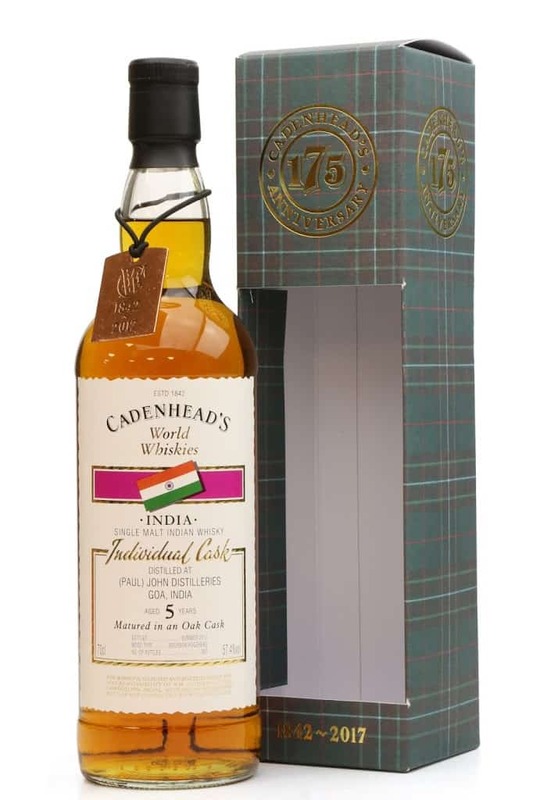 A sister cask was bottled by under the Cadenhead Creations range (I have this to review as a 36-year-old) with the addition of some Cadenhead stock. On the nose: elements of furniture polish, vanilla, fruit and nut chocolate with a touch of brass and cinnamon. Then there’s more orchard fruits including apples with cardamom and a little mustiness. It’s all very agreeable and appealing. In the mouth: very drying is my initial impression, then you go back and reflect on the lightness and a fleeting touch of soap. It’s delicate, probably nearing the limit of its prime before it tips over into an unbalanced and wood-driven experience. There’s a freshness, delicate vanilla, a little aniseed, stewed fruits, chocolate and a soft floral note. An enjoyable experience and one that’s spent a while in the Cadenhead warehouses. It has that old blended malt aspect where the grain is held at the rear. The flavours are fluid and gentle; a far cry from the harsh and in-yer-face features of many blends today. I felt trying it again this evening that it was thrown together by Edrington without too much effort or thought, but thankfully there is something for everyone within. Distilled on 19th October 2001 before being bottled on 20th June 2017 at 56.2% strength, this whisky was put into a Chardonnay cask in 2008 after originally being an ex-bourbon barrel. On the nose: a punchy arrival with soured apples, Opal fruits and an subtle earthiness but the memorable quality is the sweetness. Cherries, poached pears with vanilla essence and lemon sponge cake. In the mouth: it’s a weird one to pin down in reality. There’s a whirlpool of flavour possibilities but nothing dominant. The peat has become very sweet, almost sickly sweet. Milk chocolate and a slight sourness, lemon peel, maybe ruby red grapefruit and a chewy texture that moves into the metallic brass finish. A divisive whisky and one that at my table didn’t really receive much love. Sitting back with it now at home, its a demonstration of the cask and another wacky Longrow. I enjoy these extremes, there’s a clash between the spirit and the cask. Normally this cask would pummel other new make spirits, but not the robust qualities of Longrow. A sister cask to the Caroni of the same age that appeared in the June Cadenhead outturn. Whereas that was bottled at 65.8% strength, this one is 66.7% so a slight step up. On the nose: a real fistful of brown sugar, liquorice, treacle and liquorice. It has a beef stock nature and a extreme dark chocolate vibe. Ribena without water, all-spice, Szechuan pepper and a strong resin stickiness. In the mouth: tropical fruits, blackcurrants with a satisfying herbal finish. Dark chocolate and maple syrup, all strong flavours but there’s balance. Cola cubes, plenty of vanilla, some sage and tarragon. Very enjoyable, given the choice I actually prefer the recent Cadenhead sister cask that was bottled for the June 2017 strength. It’s just a little more polished but its a close run thing. A bourbon cask from New Zealand, that started life in America with bourbon, before arriving in Campbeltown. Distilled 24th November 2000 just prior to the tasting at 51% or thereabouts. I’ve had this at an earlier Cadenhead tasting, so I’ll just to refer to my notes once more. On the nose: strawberries with apples, Kiwi fruit and a little melon so it’s quite the fruit basket. Certainly not one I’d pick out as a Springbank lacking the diesel earthy qualities I appreciate. Figs and syrup combine and there’s a Tweed dampness underneath providing more substance. Creamy to a certain degree, returning pineapple and a buttered toast dimension. In the mouth: odd in a way as it reminds me of a wine cask finish, it has that texture and presence. Fruits galore again with more Kiwi, grapes, pears and lychees. Quite malty with some fruit loaf spicing to hand. Ashy towards the end with a little cinnamon bark as well. Plenty of fun here and an interesting Springbank to finish the tasting with. Still not blown away but this offering but given time and more of it, then I expect there are depths to discover. This one apparently is almost done in the cask with just 9 bottles left. Distilled in 1989, before being bottled at 52.9% strength from a hogshead. On the nose: it’s a typical Glentauchers with those attractive qualities of harmony and ripe apples, sweet vanilla, apricots, raisins, milk chocolate and a sun weathered varnish quality. It’s all good. In the mouth: wow its turbocharged with spicing and vanilla. It almost feels condensed as it has so much flavour and classic Speyside characteristics. Such poise and balance, milk chocolate, vanilla, white grapes and more juicy raisins with black tea on the finish. A gorgeous Glentauchers no doubt, such balance and full-on flavour. A real crowd pleaser no matter how difficult the audience and a final dram. This brought an end to a mesmerising evening of discussion and whisky from across the floor. A fitting celebration of Cadenheads and 3 decades of a fantastic whisky shop. My favourite of the night is the Kilkerran, but on the whole there was something to appreciate in almost every choice that took us across a wide range of casks and styles of whisky. All there’s left to say is thanks to the team in Campbeltown and the Edinburgh shop staff for putting on the event and going that extra mile to make everyone feel at home, with the live music always a great feature. I may not be around for the next 30th Anniversary, but hopefully I can make the 50thand wish the shop many more happy years – just slow down on the releases guys – 2017 is killing us! A special new arrival this week in the form of a very recent bottling from Cadenhead. When I received word that the excellent independent bottlers..